Varun Dhawan is definitely one of the busiest actors in the industry. The actor is already promoting Sui Dhaaga – Made In India which stars Anushka Sharma. He is currently shooting Kalank which has an ensemble cast of Alia Bhatt, Aditya Roy Kapur, Sonakshi Sinha, Madhuri Dixit and Sanjay Dutt. Varun Dhawan will also kickstart Remo D’souza’s dance film soon starring alongside Katrina Kaif. 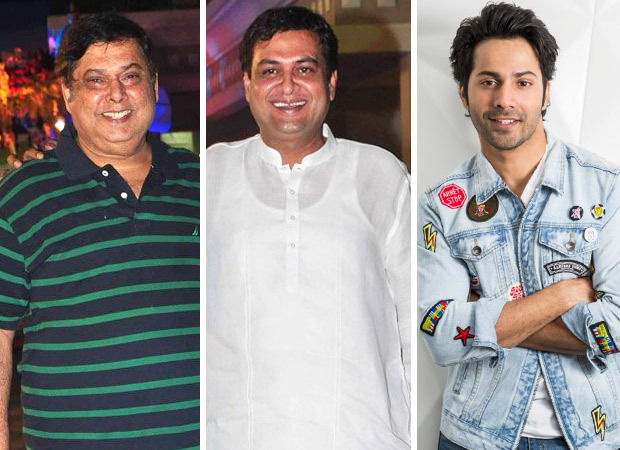 Meanwhile, a while ago, it was reported that Varun Dhawan and hit filmmaker father David Dhawan will once again collaborate after blockbuster Judwaa 2. Now, we hear that David Dhawan will be collaborating with none other than Rumi Jaffrey. David Dhawan and Rumi Jaffrey go way back and have worked together on several films including Mujhse Shaadi Karogi, Haseena Maan Jayegi, Hero No 1, Coolie No 1 to name a few. With Rumi and David coming together for Varun Dhawan starrer, it only makes it more exciting to see what they have in store for the audience. While David and Varun are yet to announce their next venture together, the father-son duo has previously given two hits together with Main Tera Hero and Judwaa 2. As David and Varun have given two entertainers back to back, one will have to wait and watch what they have in store for the fans. Meanwhile, Varun Dhawan is jam-packed with projects. His Sui Dhaaga – Made In India is releasing on September 28 this month. Then, Kalank starring an ensemble cast is set for April 2019 release. It will be only after that he will kickstart David Dhawan’s project. Amid all these three films, he also has Remo D’souza’s dance film and Shashank Khaitan’s mega project Rannbhoomi. The Secret To Jennifer Lopez’s Youthful Skin Is So L.A.